Pittsfield, Mass to Danbury,CT "Berkshire Line Route"
Pittsfield, Mass To Danbury, Conn "Berkshire Line Route"
Pittsfield, Mass To Danbury, Conn "Berkshire Line Route" #0508 and #0509 were coupled together in 1948 on the armstrong turntable at Pittsfield a few months after delivery. 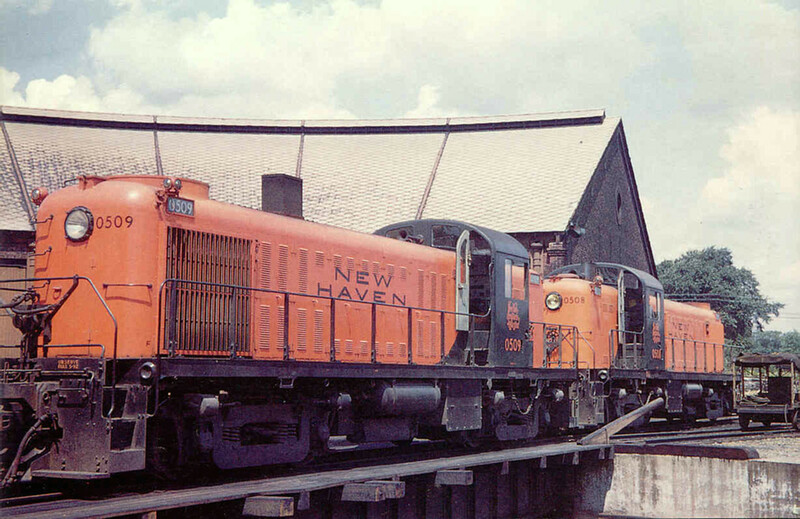 This orignal New Haven paint scheme for road switchers included hoods completely painted orange without green strips and "New Haven" was spelled out in two lines on the long hood. 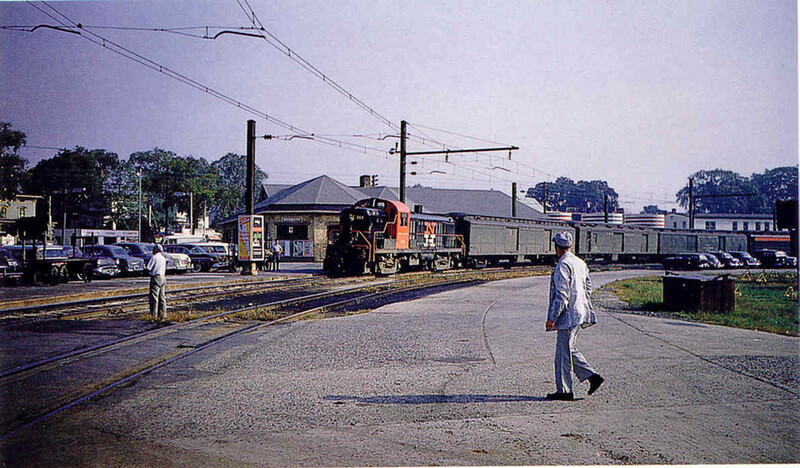 Danbury, Connecticut was athe location where the Norwalk, Connecticut to Pittsfield, Massachusetts line crossed the western freight artery of the New Haven, Maybrook Line. 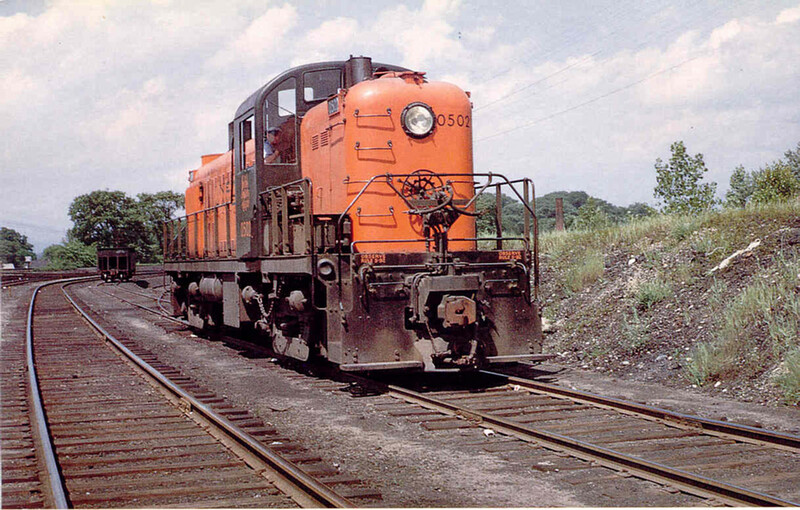 On September 12, 1957 action at the junction started with RS3 #553 bringing in the southbound train #141 from Pittsfield,Massachusetts.